Homeowners in high-tax states are scrambling to prepay their 2018 property taxes this year before President Donald Trump’s overhaul goes into effect. Residents in New York, like others around the country, are rushing to file because the new tax code, signed into law last week, limits the amount of state and local taxes people can deduct on their federal returns, according to Donald Clavin, town receiver of taxes in Hempstead, New York. The change could cost some homeowners, especially those in high-tax states, thousands of dollars. He said there will now be a $10,000 cap on the amount of property taxes that can be written off. The new deductions cap will impact homeowners in some states much more than others, including those in California, Connecticut, New York and New Jersey, where the average state and local deductions surpassed $17,000 in 2015, according to an analysis by The Associated Press. The rush in New York came after Gov. Andrew Cuomo, a Democrat, signed an executive order on Friday to allow residents to prepay their 2018 property tax, a move he said could help people to “postpone the pain” for the upcoming year. 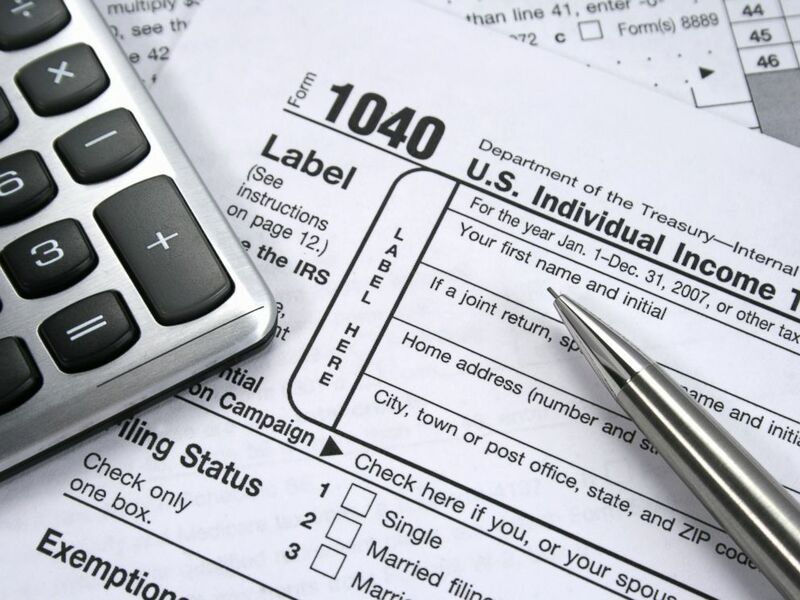 The deadline to file taxes is midnight on April 15. "You can partially prepay or fully prepay and get your deductions for your property tax payment," Cuomo said in a statement. "At least this device will postpone the pain for one year." Officials in Montgomery County, Maryland, also passed legislation to allow residents to prepay their property taxes. “For weeks, many of us have bemoaned the Republican tax bill for a host of reasons. But high on the list was how punitive it is to high-cost, "blue" states and counties like ours,” Montgomery County Councilmember Roger Berliner, who proposed the bill, said in a statement Tuesday. “Capping the deduction for state and local taxes at $10,000 will take thousands of dollars out of the pockets of a big chunk of our residents, almost 40 percent of whom itemize their deductions today. “There may be other steps that we can and should take going forward to help others hurt by the federal bill, and we should be supportive of those. But this is the only step we at the local level can and should take to help our residents right now,” he added. Experts warned that homeowners should consult their accountants before prepaying. "I can't speak to the fact that the IRS is going to allow this as a deduction, but the governor made the executive order and to accommodate his order, we came in here, we implemented a plan, and we're going to help the residents as much as we can," Clavin said in an interview with New York ABC station WABC on Tuesday. He said his office plans to extend its hours on Saturday and Sunday -- the final two days of the year.